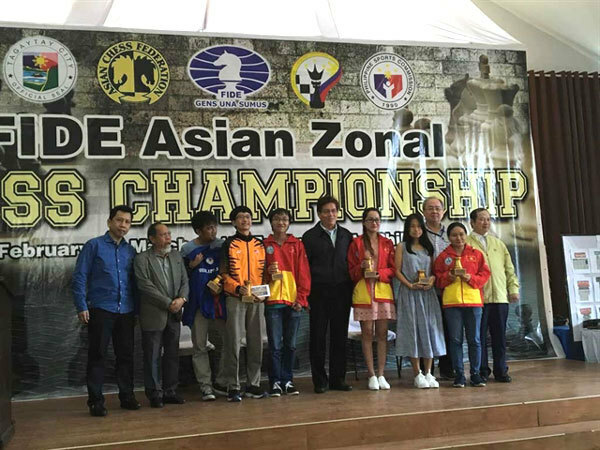 Vietnamese chess masters are currently competing at the Eastern Asia Chess Championships FIDE Zone 3.3 Open in Mongolia. After two rounds, master Nguyen Van Huy is fifth with one win and one loss in the Open category. On the women’s side, Doan Thi Hong Nhung, Nguyen Thi Mai Hung and Hoang Thi Bao Tram are in the top 10. Vietnam sent 13 masters to compete at the tournament. The best female and top two male athletes will secure berths at the World Chess Championship in 2020.